July 11th – 14th, 2014 is the days for workshop number 2 in our project “Tone+Text”. The venue is Vadstena Old Theatre and the workshop is hosted by Vadstena Academy. Composers Magnus Bunnskog, Arnannguaq Gerström, Fredrik Hagstedt, Per Magnusson, Ann Rosén, Henrik Rambe, Thomas Lindahl and John Lidström together with libretto writers Ulf Peter Hallberg, Sigrid Herrault, Rikard Johansson, Susanne Marko, Steven Mayoff, Isa Schöier and Greta Sundberg have in pairs prepared a 10 minute scene that will be under process during this four-day-workshop. There will be artists at the composers and libretto writers service – pianist László Horváth, mezzo soprano Miriam Treichl, baritone John Kinell, cello player Johannes Bergion and clarinetist Magnus Holmander. The workshop will close with a public show-case on July 14th in Vadstena. We will get back to you later with further details. Welcome – we are truly excited to see you all again! Ny-musik-festivalen Sound of Stockholm arrangerar ett seminarium om operaregi och ny repertoar. Seminariet hålls i Stockholm på Kulturhuset Stadsteatern onsdag 6 november kl 17 och är gratis. Ett tips till alla er som är involverade på ett eller annat sätt i ToneText! … composers Jim O’Leary, Ann Rosén, Fredrik Hagstedt, Rebecca Neumann, Arnannguaq Gerström and writers/librettists Steven Mayoff, Sigrid Herrault, Susanne Marko, Rikard Johansson, Greta Sundberg, Ulf Peter Hallberg and Isa Schöier. All above will participate in Tone+Text’s bi-annual workshop at the Vadstena Academy in Vadstena, Sweden. The T+T workshops focus on continuing/further education with the aim of deepening participants’ knowledge of the process of writing an opera. Our facilitators will customise the workshops to the ideas/projects selected and the phase of development they are in. The first workshop will take place in Vadstena between 12th – 15th of July, 2013. Finally we can present Operastorming on Youtube! Follow this link and enjoy! Per Boye Hansen blogs about his time in Stockholm around Operastorming (in Norwegian). The entire talk he gave is in english at the end of the Norwegian commentary. We are editing all the streamed material from Operastroming #1 and it will be online shortly. In embarking on a discussion about the new status, significance and conditions for the growth of musical drama in the Nordic countries, it may be useful to start with a few words about the general conditions for opera as an art form. What part does opera and music drama play in the cultural landscape? What has happened over the past few decades? Can we detect any special tendencies in development which are essential for us, as we look at the challenges we face today? There could also be reason to make a general diagnosis of the creative and performing arts position in our society. But that would however be to sidetrack things and to distract us, considering the time we have at our disposal today. However, I will mention a couple of factors that I see as most relevant and which can form a backcloth for the discussions we will have. One argument I often encounter when I meet composers and players in new-music circles, is that it is difficult to imagine that things could be worse, that all creative forces are being obstructed by politicians, who neither dare nor are able to make the necessary priorities, and bosses within art and culture (i.e. people like me), who run large prestigious institutions according to bureaucratic and commercial guidelines and are not able to carry on a fruitful dialogue with the creative community. Hard and irreconcilable fronts are quickly formed. Now I am not saying this in an attempt to sweep problems, disagreements and real conflicts of interest under the carpet. I hope we will have ample opportunity to exchange experiences and views that allow real conflicts of interest to emerge. But I mention this because I am convinced that a one-sided perception that the situation is close to disaster is not conducive to a fruitful dialogue. In our part of the world, and in particular in Norway, we have never experienced greater welfare. But at the same time social inequalities are on the increase, which make a particularly big impact when it comes to cultural preferences and levels of knowledge. Nevertheless, I would insist that never have so many people had access to – and use of cultural life – as today. The concerts on offer are more diverse and of wider choice. And not least, the average quality is far higher. We educate better musicians, build better concert and opera houses and have an infrastructure that only a generation ago, might have seemed unattainable. In spite of this positive development in terms both of quality and infrastructure, the creative artist’s position in setting the agenda for the public debate, yes I would also think social development, is diminished. The media give less space to the creative artistic part of cultural life. Also, official representative culture has made a shift from art to commerce. The weakened prestige of the fine arts within leading political and corporate circles, is marked. In Norway a recently appointed public committee, the Enger Committee (headed by former Culture Minister Anne Enger) submitted a report evaluating the cultural policies pursued by the Norwegian coalition government – led by Labour – since 2005. During this period, the subsidies, or investments in cultural activities have doubled, from about NOK 5 billion to NOK 10 billion in annual state grants. In this period a new opera house has been built, as well as several large concert halls, such as the ones in Stavanger and Kristiansand, and construction of a new National Museum has been approved. This is a development that is in stark contrast to the trend in most other European countries, including our neighbouring countries. But that being said, it must be added, (and something that the Enger Committee also points out) that we have a lot of catching up to do. Construction of major national and regional art institutions only took off in the last ten years, and it was not until 2008 that we had a building specifically dedicated to the two art forms of opera and ballet. Until then the companies had to be content with a converted cinema. Regarding the latter, it is neither a sensational nor a controversial assertion. But still very alarming. Undermining our cultural foundations could prove to be catastrophic. And perhaps we are already experiencing the results of this. For example, music teaching in schools in Norway has been completely destroyed. In some other European countries things are different. I visited a friend of mine in Zurich two weeks ago. His son, who just turned 15, received the music tuition that I first became familiar with when I started at the Music Academy. He was already familiar with the circle of fifths and parallel keys. In a wider cultural political context, there is in my opinion nothing we should strive for more than to strengthen music education in schools and provide gifted students with opportunities to develop skills by building music schools and educating competent music teachers. The two other conclusions of this Enger Committee could be regarded as more surprising and partly also more controversial. To encourage politicians to lead a cultural policy that places more emphasis on quality rather than quantity is striking a new note. I would be insincere if I said that I do not welcome it. In particular I like the proposal that the differentiation in that the number of visitors and revenue is to be measured, while quality should be evaluated. To me this was surprising reading. I would imagine that this audience would also largely endorse a policy where artistic evaluation shall dominate in terms of priority and funding, in contrast to what is often today’s practice. My experience is that visitor numbers and own revenues are accorded great emphasis and are more highly valued, without artistic ratings being taken into account. In Norway, for instance, a publicly funded theatre can put on a musical, such as Les Miserables, copy the original production and get credit from the funding authorities because the production draws full houses. In most countries in central Europe I think the demand to withdraw funding, would quickly emerge. The third conclusion will probably cause greater disagreement. The committee states that: “It is essential to maintain and develop cultural institutions within the framework of the current model in the coming years”. In other words we shall continue to shield major institutions such as the Opera House and the National Museum. It would be false of me to pretend that I am not wholeheartedly in favour of such a cultural policy. It is a long time since Pierre Boulez came out with his famous and oft-quoted statement that all opera houses should be blown up. But since then he has probably reaped great benefits from working at the same institutions. I both hope and believe that he has changed his point of view. But the attack on the institutions as conservative or reactionary bastions – which impede innovation and development – keeps popping up, and is still a relevant objection and a necessary corrective. Still, I seem to detect a different attitude to the traditions today than was the case when Boulez was a young fighter on the barricades. In a society where historical memory is weak, affection for our own time is dominant and the lack of understanding and knowledge of our cultural roots is immense, I think great cultural institutions can play a significant role as a bulwark against total collapse of a cultural consciousness. I would like to express a particular joy in art. And that’s the joy of having a connecting line directly to art, and to those, who have been here before us, a link to the life as it appeared before we made our entry into it. The historical dimension of art. The art that has been transmitted. The joy over knowing that something can survive from one time to another. Mozart! Or for that matter Greek tragedies. Or Roman statues. The basic constituents. Saving the past for ourselves has always been a civilizing mission of the first order. Especially important for us because we live in a time where the link to what was before us is greatly weakened. Operatic literature I think is particularly well suited to preserving a vibrant cultural tradition. The tradition from Monteverdi to Ligeti is incredibly rich and gives us opportunities for insights and experiences that can be experienced as highly relevant to us today. I regret that so far I may have appeared to be a conservative reactionary. I must immediately hasten to say that if we are not able to develop and renew tradition, it will crumble and deteriorate just like old waste. Tradition can only be rescued for ourselves, if we simultaneously are able to regenerate it. Just under a year ago, I participated in a debate on this topic, along with the composer Peter Maxwell Davies. It became evident that scepticism as to whether institutions are able to take on the task of renewing the tradition is strong in parts of the composers’ circles. Still, it is often argued that we need to change the basic conditions of production to allow for new growth. Institutions are perceived as more of an obstacle than an aid to development. Maxwell Davies, however, had become more and more of a friend to cultural institutions over the years. First and foremost because opera houses of today are better able to meet the professional challenges. Both musicians and singers are better trained and have different and more positive attitudes to new music and music drama, than was the case just a few decades ago. But we who lead the major institutions must seek to be open to structural changes and to realise that the production processes must be flexible if we are to accommodate and support important new impulses and release artistic forces. An important innovative artist such as Heiner Goebbels would never have been able to realise his seminal work, if he had been forced to deal with existing procedures and conditions. Meanwhile, his project has also largely related to and profited from partnership with major institutions. For me as an opera director the dialogue with the composers is the most essential thing. Without a close dialogue that gives an insight into wishes and visions, I will not be able to satisfy these. Basic knowledge and understanding of the creative artists’ intentions are necessary to facilitate the best possible result. I would also like to take this opportunity to give recognition to this initiative. A meeting like this where different actors from different milieus meet to talk and share experiences I consider to be very fruitful and inspiring. I think this exchange of each other’s ideas, needs, opportunities and constraints should go both ways. To compose an opera is of course also a separate discipline and requires a very special expertise. Unfortunately, distance and differences between institutions and authors sometimes occur, because the authors do not have this necessary competence. I want composers to invest time and effort in getting to know the opera houses from the inside and I will try to arrange that composers have the opportunity to follow productions and become familiar with the institution’s inner life. In my practical work with composers I often feel that there are two factors that can act as a hindrance. The temptation to get involved with the great apparatus, which an opera entails, seems to be great. Composers, who first and foremost have dedicated themselves to instrumental and symphonic music, look for a wider scope and hope that the opera, with its many devices and possibilities may enhance and enlarge the message of the music. Without such a fascination for the possibilities of the opera’s mechanisms being combined with a willingness and an ability to think musical dramaturgy in terms of musical theatre, the projects could become overextended, even megalomaniacal structures or music only illustrated by visual effects. Another pitfall or dead end I can see, is that the projects are based primarily on text-based narrative or aesthetic intentions and structures, where the music is given a subordinated, yes, almost an emblematic function and is not setting the standard for the dramatic progression. A good libretto or a substantial content is necessary for it to become a successful piece of work, but the stagecraft must facilitate and open up for the music’s energetic and transformational role. When the opposite occurs, we get theatrical performances where the music becomes subordinated to the theatrical process – as an illustration or an element in evoking an atmosphere. I have so far avoided talking about the public relations and the challenges that both composers and leaders of institutions encounter when it comes to communicating with and reaching a wide audience. I visited a Chagall exhibition recently and was reminded of the envy we, who are engaged in music, can feel towards visual arts. The modern breakthrough came at about the same time in both music and the visual arts, something that can be noted in reading the exchange of letters between Schoenberg and Kandinsky. That modern visual art so quickly reached out to a wide public and came into the public domain in a different way from what modern music did is probably due to several factors. But maybe one of the reasons was that several towering figures such as Picasso, Braque, and Chagall simultaneously came upon the scene, while Schoenberg was almost alone. Perhaps it is only now in a post-post-modern period that the new music has a chance for success? If so, the case could give grounds for optimism. Neither do I think that such optimism is completely unfounded. There are several signals which indicate that there is great focus on new musical drama, with new enthusiasm and new commitment. Production and communication of new musical drama seems to have a greater impact today than was the case only a short time ago. One of the biggest hurdles is still the hugely expensive production unit. Music drama is the most expensive art form one can embark upon, and an understanding of the cost aspect is important for us as leaders of institutions and for creative artists who make use of them. We are privileged in our part of the world in the sense that we have a collective commitment that ensures a financial framework that allows us both to take risks, and not least, to keep ticket prices at a level that does not exclude large sections of the public. Even without public commitment, I’m not afraid that opera houses will not be able to survive, but that they will only be able to continue operations financed by those who can afford it, and so will become once more closed institutions for a small elite. As an art form opera is no longer elitist. In Norway, there has been a tremendous development. The interest for opera is growing across the country. In Nordfjordeid, a village in West Norway innermost in a fjord, with just over 5,000 inhabitants, they have built their own opera house. Half the building contains workshops, which also serve as an on-site vocational training school. Last year I was on Røst, a small community on the farthest-out island in the Lofoten Archipelago, with 600 inhabitants. Here enthusiasts had managed to create an opera which dealt with the community’s own history, performed with the participation of a local choir and had attracted 1500 visitors from all over the country. So it is with a good deal of optimism that I have started my work as opera director in Oslo. The Opera House’s popularity, outstanding location and especially the wonderful acoustics, would make any another standpoint seem rather cranky. For me, the task of “saving the past for ourselves” is subject to preserving tradition and to be able to renew that tradition. Live-streaming from Operastorming #1 is now over. Thank you all for following us! Within a week or two we will publish today’s filming on Youtube. We will get back with further information! Please note when you press Play there will be a short commercial. Complete Operastorming #1 Program is Out! Operastorming #1 in Stockholm is now completely full! We look forward to seeing you all next week! Those of you who can’t be with us can follow everything via live stream here on our webpage. The Swedish composer and musician Catharina Backman’s instruments of preference are self-made of glass, as well as her beloved accordion. She studied composition at Malmö Academy of Music with Javier Alvarez, Hans Gefors, Rolf Martinsson and Kent Olofsson. Catharina has always had a strong affinity for music on stage and her work includes opera commissioned from among others The Royal Swedish Opera and Malmö Opera. Catharina is also strongly influenced by the theatre in her other compositions and her chamber music often contains visual and theatrical elements. Catharina Backman is currently composing chamber music for The TAKY Contemporary Ensemble and later this year theatre music to the Berthold Brecht play The Good Person of Szechwan. 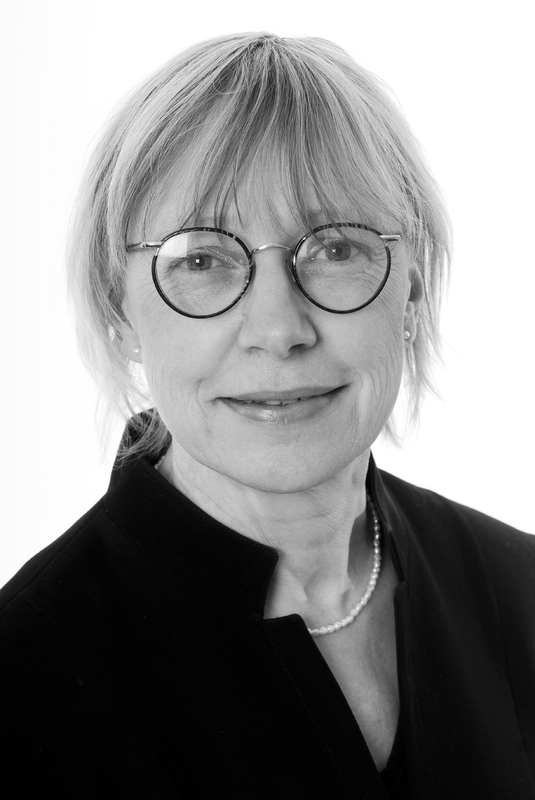 In 2012 Catharina was the artistic director of the Nordic Composers Council’s festival “Nordic Music Days”, hosted by The Swedish Composers Society in Stockholm. At Operastorming #1 Catharina will explore the expanded possibilities of the operatic form, or lack of form. She is interested in the possibilities of using the sound itself and its relation to the musicians’ presence on stage, as a point of departure for an opera. Creating a new opera is a complex process that requires a myriad of factors to be taken into account. In cases where there is a composer and a librettist, striking a balance and finding a productive way to collaborate towards creating an important work can be a challenge. Maria Sundqvist has substantial experience, both as a part of this intimate collaborative process, and as an enabler for others. Maria will at Operastorming #1 focus on this sometimes-complex collaborative relationship between composer and librettist. 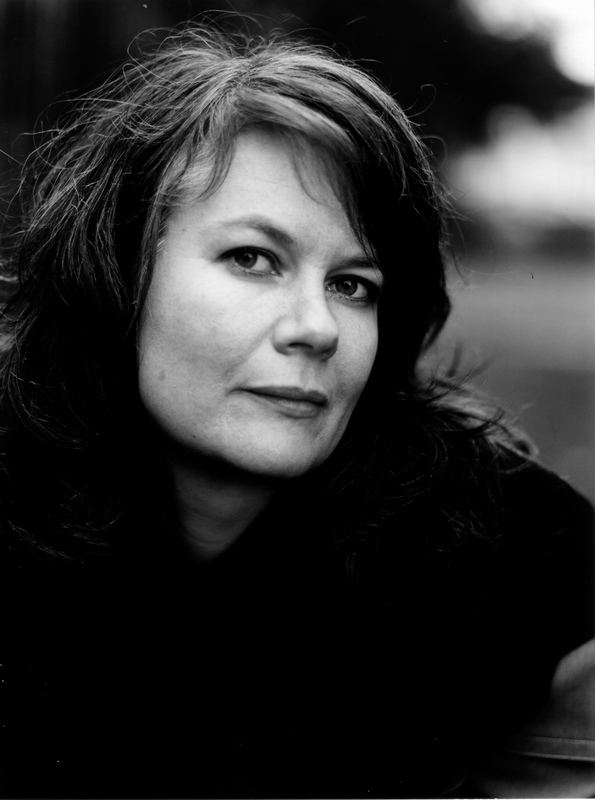 Maria Sundqvist is Artistic Director of Operaverkstan (the Opera Laboratorium of the Malmö Opera), where she has, since its founding in 2002, developed ten new operas. Maria possesses a wide experience from directing opera productions in various formats, as well as from extensive libretto writing, collaborating with composers on twenty different operas. Maria has furthermore processed adaptations of older existing operas. We look forward to Maria Sunqvist’s insights next week!